And if you really end up enjoying your time abroad, there is a chance that you will be bit by the international bug and want to pursue your career abroad after graduation. If this is the case, then I would suggest taking advantage of the opportunity for international networking that studying abroad presents. Being on the ground in the country that you may want to work in after college is a huge advantage when it comes to exploring the local job market and potential employment opportunities. Take it from me; I built a life in Vietnam (where I didn’t have a single contact) and eventually found myself working at an international technology company. My biggest advantage? I was actually in Vietnam already and able to network in person. So how can you make the most of your time abroad and international networking for potential post graduation opportunities? Here are a few tips that I learned the hard way navigating the international job market. In today’s job market, no matter where you are in the world, developing a personal brand is critical to successfully networking and finding job opportunities. Whether you are publishing on Medium, networking on Twitter or creating posts on LinkedIn, it is important that you have something more to show employers about who you are as a professional than a PDF of your resume. Start building your personal brand through before you leave. What I am talking about really is content marketing. And the thing you are “marketing” is yourself. Essentially, what you want to be doing is sharing your ideas about your industry with professionals and “influencers” in your field, asking them questions, and using your content as a reason to reach out to them and begin a conversation with them about your industry. And better yet, targeting professionals in the country you are studying abroad in. You are writing a post for your [Medium, Linkedin, industry blog] related to the industry that you are interested in. You would like to get a quote from Ms. Industry, one of the well-known people in the industry. So you reach out to her on Twitter (using your professional Twitter account) and ask her if she would be available for a quote for your post [via email, ReplyAll.me, Skype]. Impressed by your previous work and your initiative, she happily agrees to chat with you. Think about what happens in the scenario above. You not only receive awesome validation of your post by featuring direct quotes from an industry influencer, but you also make a powerful connection in your industry that now, after talking to you, knows way more about you than a cover letter or resume could ever reveal. And on top of that, when you share that post on, say, Linkedin, they will likely promote it in their network, exposing you to other industry leaders. And that is how you can start developing a nice little professional network. Actually being physically in the country that you would like to work in after college provides a huge networking opportunity. To ensure your time is well spent, be specific about the industry and type of companies you might be interested in working for. This is going to help narrow your search so that you can do more in-depth research on your companies of interest. Once you identify a few companies you might be interested in, start reading through their blog and social media accounts to get a better feel for what they do, their approach to the industry and their role in it. Remember, information is power, and this is especially true when networking and exploring job opportunities. Tea, coffee, beer. 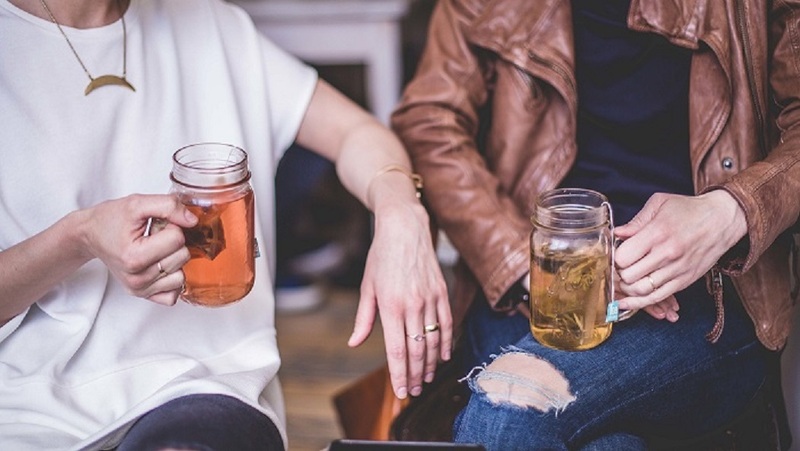 Grab a drink with you new connections and start asking questions! Once you know the specific companies you are interested in, it is time to get even more targeted in your research, namely, finding specific employees of the company (ideally expats) to reach out to. You can reach out and request to talk to them to get information for a post you are working on, or about life as an expat or about how their career lead them abroad or any industry specific questions. But it is always a good idea to have a specific reason for wanting to speak with them. From there, it is just a matter of scheduling a meeting, chatting about the topic and then taking the conversation wherever you please! Be brave and ask about whatever you want to know. Have questions about the job market? Ask! Want to tour their office to see what it is like? Ask them! People are often very happy to help (especially if it doesn’t cost money), but you have to be specific in what you would like from them. You’ve done it! You have not only completed your study abroad experience, but you have also successfully networked in your desired country and have a great pool of connections that have actually met you in person! So what do you do now? Keep in touch with them! Need a quote from someone in your industry for a class assignment? Ask one of your connections. Did you receive an award or certification? Make sure to let your network, especially your close connections, know. Keep them updated on your plans, and talk to them about specifics about how to work in your desired country! At this point in the game, they are likely to be willing to help. From here, it is a numbers game. Not everyone is going to fall to the floor and offer you your dream job, but the more connections that you have, the greater the chance that someone-knows-someone-knows-someone who wants to hire someone like you, and now you have connections in the area to vouch for you. And if you put in the work and land a job abroad, you will reap all the professional benefits that working internationally provides. Aaron Horwath is a Project Integration Manager at an international technology company currently working in Da Nang, Vietnam. Originally from Portland, Oregon, he spent the last three years working internationally. Through his site 12hourdifference.co, he shares his insights, as well as those of other professional expats from around the world, with millennials who are curious about taking an international career path. The expert author of this blog may be compensated to provide opinions on products, services, websites and various other topics. Even though the expert may receive compensation for this blog, the views, opinions, and positions expressed by the expert are his or hers alone, are not endorsed by, and do not necessarily reflect the views, opinions, and positions of studyabroad.com or EducationDynamics, LLC or any of the schools with whom it maintains business relationships. studyabroad.com and EducationDynamics, LLC make no representations as to the accuracy, completeness, timeliness, suitability, or validity of any information in this blog and will not be liable for any errors, omissions, or delays in or resulting from this information or any losses or damages arising from its display or use.